There is nothing better than taking out your slow cooker and creating a world class slow cooker meal.Megan Layton has cultivated the perfect slow cooker recipe book for those who want to prepare a great meal at home.These are ideal Crockpot recipes that will bring a smile to your face.Use this slow cooker cookbook and feel right at home! WHO WOULDN’T LOVE AN invention that makes you spend less time in the kitchen? Eating healthy and saving time simultaneously is something everyone would like in this world of today where people are hard pressed for time. Ever heard about a slow cooker (also called as Crock pot) and its benefits? Well, slow cooker is an electrical kitchen appliance that is used for cooking at considerably low temperatures. They are not very expensive, are economical, and provide healthy, low fat and almost effortless cooking. You can leave your cooker unattended for a few hours without the food burning. Very little liquid is needed to cook the food and the liquid doesn’t evaporate. So you can add the ingredients and forget it until you come back home to a hot and delicious meal. Slow cookers vary with different manufacturers so read the instruction manual carefully before using. 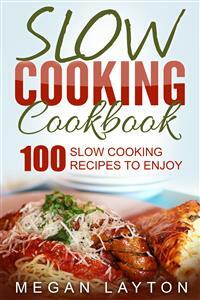 So if you have your ingredients ready, it is easy to use your slow cooker. Pineapple should always be added to your cooker during the last 15 minutes of cooking while milk, cheese, cream should be added at the end of cooking. You can make almost anything in the slow cooker from breakfasts to dinners to desserts and much more. So why don’t you try your hand at slow cooking today. Place the oats with cranberries, apricots, raisins, cinnamon and salt in a slow cooker. Pour the water, apple juice and maple syrup in and stir. Cover the cooker and set on low heat. Let it cook for 6 hours or so. Add some maple syrup and milk to serve. Coat the inside of the slow cooker with non-stick cooking spray. Place a large skillet on medium heat and cook the sausage till it is brown. Break it up as it cooks and add the peppers. Once cooked, transfer in to a large bowl. Use the same skillet to cook eggs over medium heat and then transfer into the sausage bowl. Add chopped parsley, cumin and salt to this. Line the bottom of the slow cooker with 2 of the tortillas. Put in half of the sausage mixture over this and sprinkle some cheese. Pour some salsa Verde over the cheese. Add two more tortillas over this and spoon in the rest of the sausage. Add the cheese and salsa Verde. Layer the rest of the two tortillas over this. Top with more cheese and Salsa Verde. Set the cooker on low heat and cover. Let it cook for about 3 hours. Let it cool for a while before serving.